During our recent Annual Meeting in Greensboro in early November, Jeff Isenhour, pastor of Arran Lake Baptist Church in Fayetteville and chairman of our Budget Committee, shared an update with messengers that highlighted the generosity of North Carolina Baptists to the missions and ministries of the Baptist state convention and the Southern Baptist Convention (SBC). Jeff’s report included many reasons to celebrate and rejoice in what God is doing in and through North Carolina Baptists as a result of your faithful financial support of missions through the Cooperative Program and special missions offerings. I thank you for your recent gifts that fund the North Carolina Missions Offering (NCMO) during this time of disaster relief when so many people are hurting physically, emotionally and financially. Among other items mentioned in the report was the fact that N.C. Baptist churches gave more than $13.6 million to support international missions through the Lottie Moon Christmas Offering for the SBC fiscal year that ended Sept. 30. This figure ranked North Carolina first among all state conventions in support of the Lottie Moon Christmas Offering once again. To God be the glory! I share these numbers not to gloat or boast, but to personally thank you and express my heartfelt gratitude for your continued generosity. Your gifts support thousands of International Mission Board (IMB) missionaries who are taking the gospel to those who have never heard it all around the world. Every single dollar you give to missions through this special offering goes directly to support the work of the International Mission Board. As we approach this year’s Lottie Moon Christmas Offering, I invite you to once again pray about how God would lead you and your church to support this year’s offering. The IMB has designated Dec. 2-9 as a week of prayer for this year’s offering and has developed several resources to help focus your attention on God’s heart for the nations. You may visit imb.org/lmco for prayer prompts, missionary spotlights, videos and other resources related to this year’s offering. This year’s offering goal is $160 million. Let’s give generously unto the Lord during this Christmas season as we support this special missions offering. Help your friends and people who are new to your church understand why it is so important that they give to a missions offering that they may not be familiar with if they were not raised as Southern Baptists. It’s also fitting that as we focus on the Lottie Moon Christmas Offering, we can also celebrate the appointment of a new leader of the IMB. Dr. Paul Chitwood, executive director of the Kentucky Baptist Convention, was elected president of the IMB by its board of trustees on Thursday, Nov. 15 after being recommended to the board by the presidential search committee. Paul is no stranger to the IMB having served as chairman of the IMB trustees as part of his tenure as a trustee. Gloria and I are blessed to have a friendship with Paul and his wife, Michelle. I have been impressed with this couple along with Paul’s leadership skills as a fellow state executive director-treasurer. Paul has a passion for the Lord and a heart for missions. I am confident that he will be a great leader for the IMB for years to come. I have read numerous emails from many of my colleagues in other state conventions who are thrilled and elated that Paul is our new IMB president. The fellowship of state executives collectively sent a letter of appreciation to the search committee for endorsing Paul. Prior to Paul’s election as president, the IMB also appointed 42 new missionaries as part of a Sending Celebration at the IMB headquarters in Richmond, Va. Several of these missionaries are from North Carolina or have North Carolina ties. Please pray for these new missionaries as you pray for those from every language, people, tribe and nation to experience the joy of knowing and worshiping our Lord and Savior Jesus Christ. 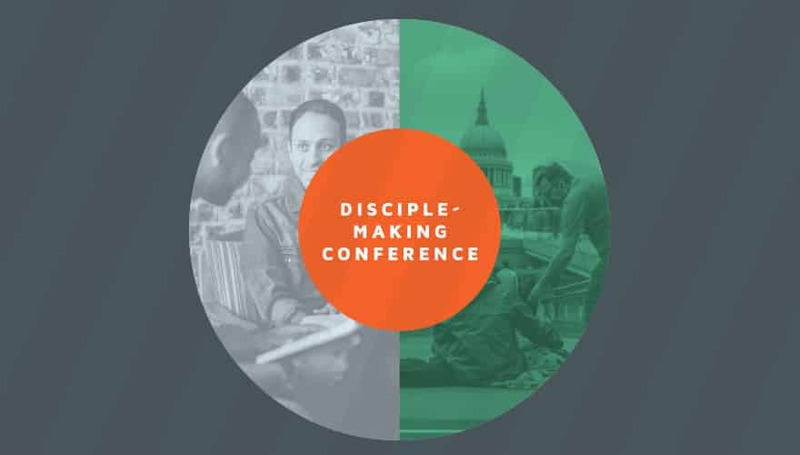 Join us Feb. 26 to learn how to make disciples.